Experienced in scientific research and management, Doug Hepler is an expert in animal immunology, microbiology, and parasitology. 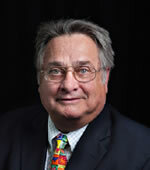 After completing his doctoral work at Colorado State University—where his research focused on roundworm parasites and tumor antigen studies—Hepler joined Elars Bioresearch Laboratories, Inc., (now TechAmerica Research Center) as director of toxicology, later becoming vice president of Elars’ safety assessment division. Broadening his expertise, Hepler then served as a senior research specialist at Ciba Animal Health (which became Novartis Animal Health), where he developed compounds and concepts into commercially viable animal health products. Later, as vice president of the company, he oversaw various facets of corporate management, including the raising of capital, hiring personnel, and supervising the product portfolio. A Co-Founder and Executive Vice President of Blue Ridge Pharmaceuticals, Inc., Hepler continued as Vice President of Research and Development at IDEXX Laboratories, Inc., which purchased Blue Ridge in 1998. Before earning his doctorate, Hepler received a Bachelor of Science degree in biology from Pennsylvania’s Lock Haven University. His work has been published in a number of scientific journals, including the Journal of Animal Science and the American Journal of Veterinary Research.